The first Adelaide Supanova Expo starts with the preview tonight!! Sooo excited! We are heading down tonight to buy photo/autograph tokens. Nelsan Ellis (Lafayatte from True Blood), I'm very excited to be meeting you tomorrow! 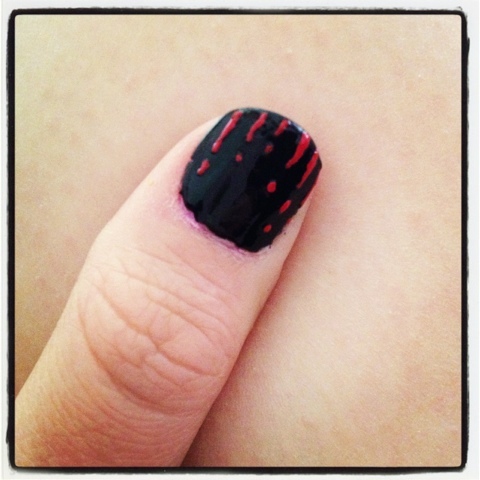 With True Blood in mind, I did a very quick test of dripping blood nail polish this morning.